Earth Hour is the world’s biggest switch off event. Each year, millions of people around the world switch off their lights and organise events – at home, in their community or in their towns or cities – to show they care about the future of our planet. 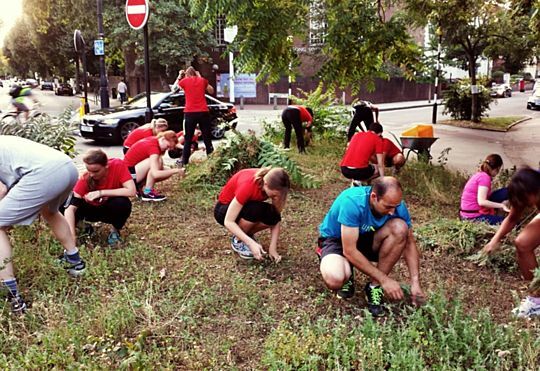 From the week commencing March 25th, GoodGym will be teaming with Earth Hour to do good for the community across the UK with a variety of environmentally themed tasks. Last year over 10 million people across the UK took part to send a clear message: we’re fighting for our world. From Buckingham Palace to Edinburgh Castle, communities switched out their lights in a symbolic show of support. This year's message is: switch off for your world. On Saturday 30th March, GoodGym will be part of a big group task in the lead up to Earth Hour at 8.30 - 9.30pm, where people across the world will switch off their lights as a show of support. Earth Hour this year are asking people around the world to use their voice to call for urgent action. Individuals, businesses, communities and politicians all have a role to play. By adding your voice this Earth Hour, you can pledge to change one thing in your everyday life that will help protect our planet. Earth Hour highlights the changes needed at a global level, but also encourages everyone to take personal action. You could, for instance, change the way you eat, embrace reusables and buy less plastic, or help to restore nature in your community. You can share your pledge using #VoiceForThePlanet throughout March to show how you are making a difference. How Earth Hour helps: Many of us feel powerless in the face of overwhelming threats to the planet. But when we all come together for Earth Hour, we create a strong voice that can change things for the better. We have tasks organised already in Sheffield, where runners will helping at a community city farm. In Liverpool runners will be helping out at Everton Park, a green space in the urban heart of the city, and in Slough we will be at Wildfowl and Wetlands Trust with the Yellow Fish signage task. 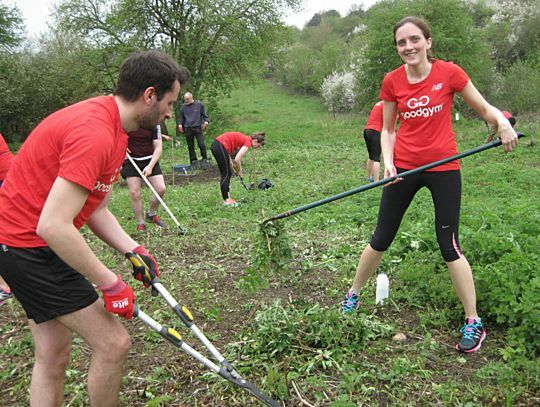 GoodGym Leicester will be helping to create a better environment by planting trees at a local community centre and in Huddersfield runners will be helping to clean up the gardens at a local estate. There will be plenty more tasks organised across the week for runners to take part in in your local area. Watch the official 2019 international Earth Hour video to find out more. Complete your Taskforce training here and set up your own community mission for Earth Hour.